I love ray tracers. Their combination of a simple algorithm and stunning results are hard to beat. The code above was generated by Google’s Closure Compiler. The original, fully commented source code can be found here. Note that the goal here was to make the source code as small as possible, not clarity; so even the original code before minification is a horrible mess. 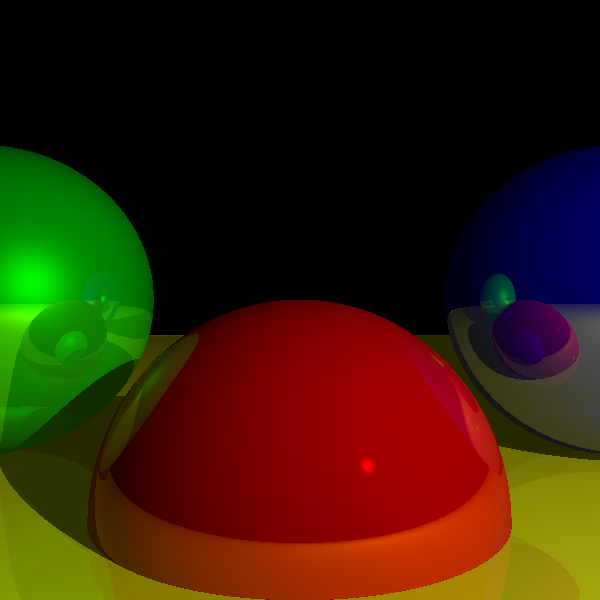 This doesn’t do justice to the elegance and simplicity of proper raytracer code; I’m writing a book to right this wrong. If you’re interested in the theory of raytracers, you may be interested in my textbook, Computer Graphics from scratch.